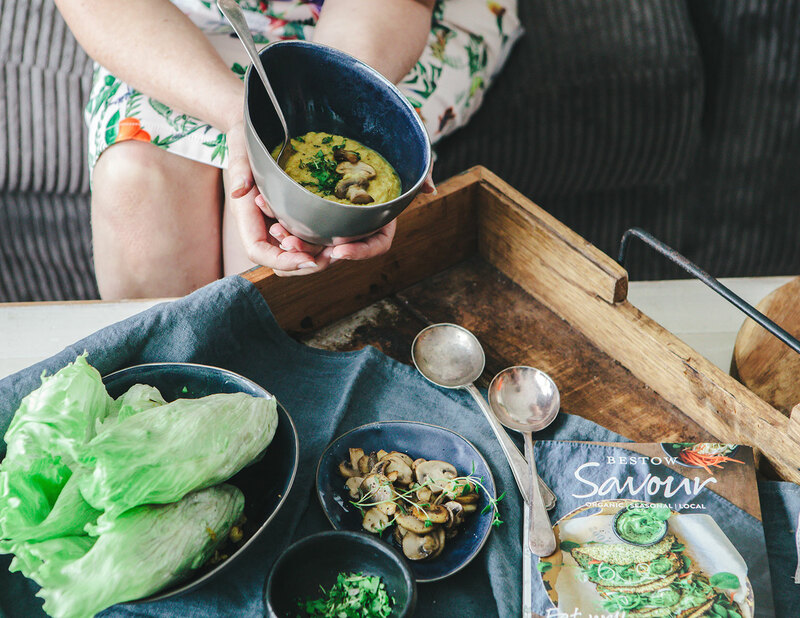 One-pot savoury meals, bursting with flavour are our favourite type of meals to cook. 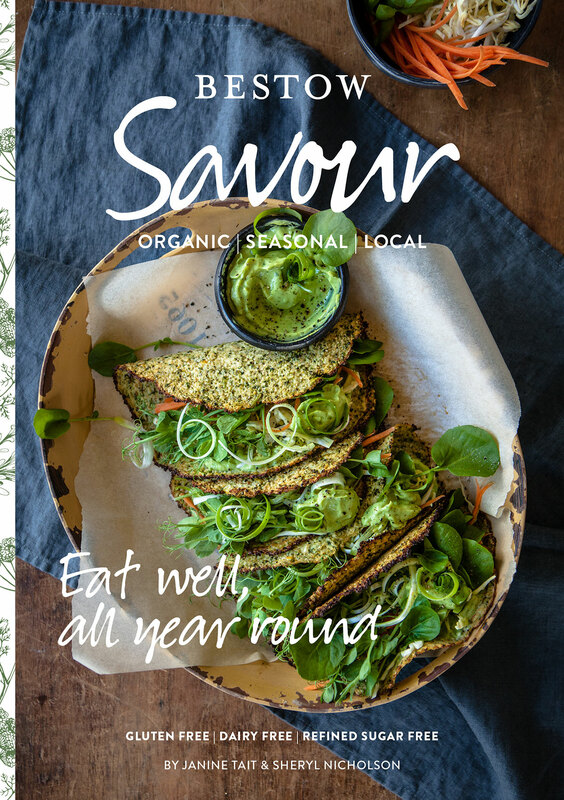 Our fifth recipe book Bestow Savour is a collection of vegetarian, gluten-free, dairy-free, refined-sugar-free recipes which rescue vegetables from bland side dishes and make them the star of the show. 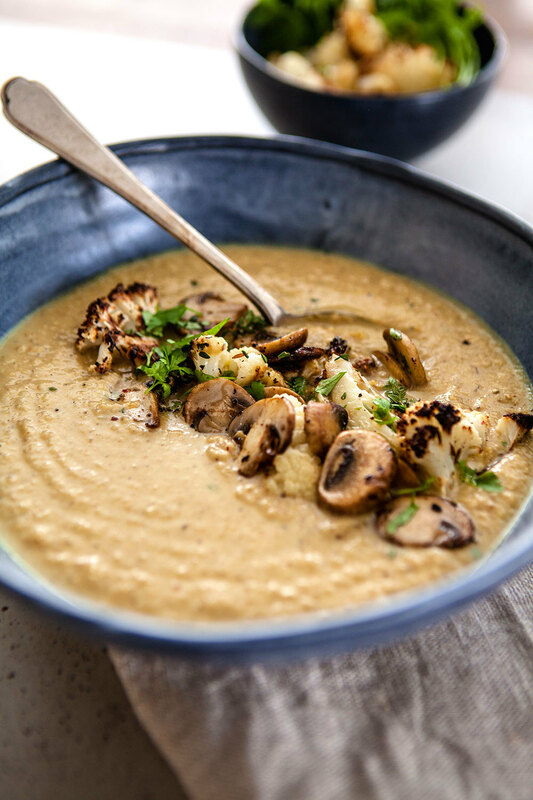 The recipe that follows is one of these and perfect for this time of year as there is nothing better than a steaming bowl of Roasted Cauliflower Goodness Soup flavoured with turmeric, cumin, paprika and sumac and garnished with the thyme-fried mushrooms on a cool winter’s day! Saute the onion and garlic and add the spices. Add the cauliflower and vegetable stock. 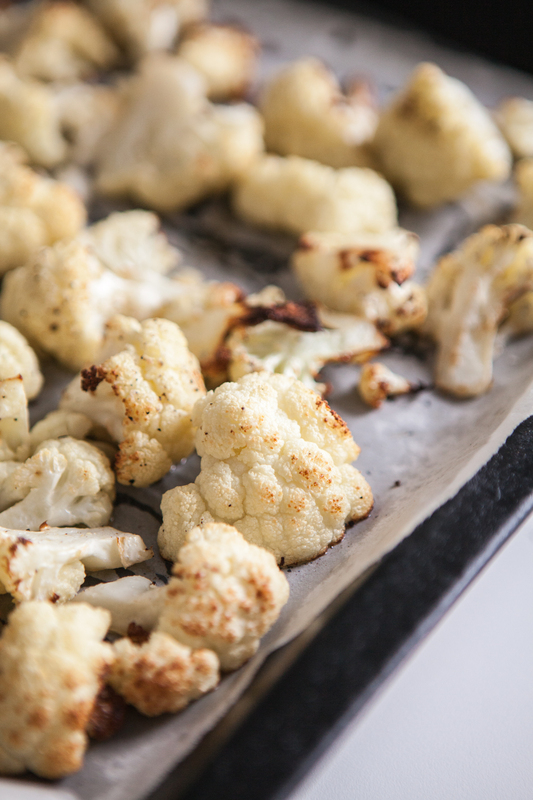 Arrange the cauliflower florets on a large baking tray lined with baking paper; use two baking trays if you need to. 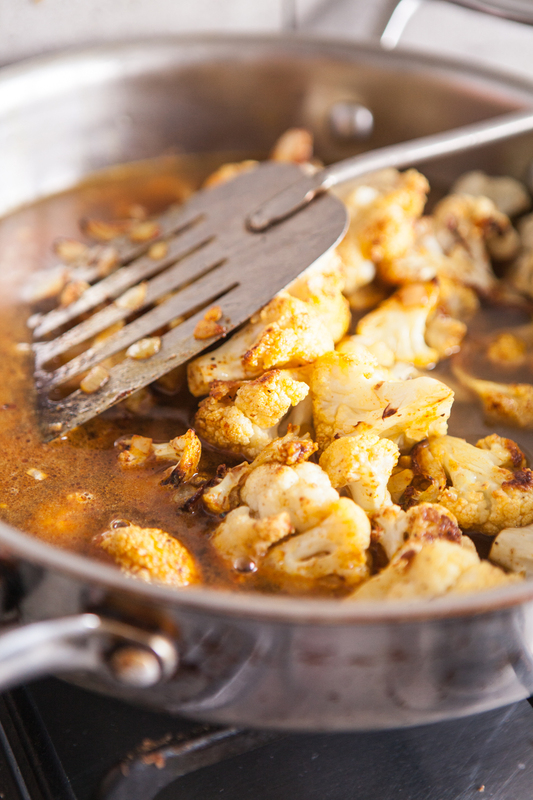 Sprinkle cauliflower with salt and pepper and drizzle generously with olive oil. Roast in oven for 30 minutes, turning over midway through. They should be starting to turn golden brown. Remove from oven. Reserve a cupful of florets for the top of the soup. Meanwhile, heat 2 tablespoons of olive oil in a large frypan. 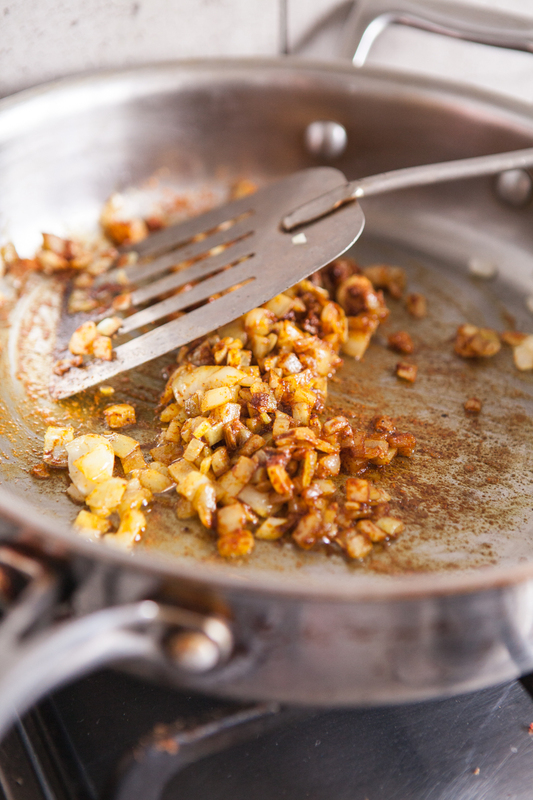 Saute the onion gently until translucent (10-15 minutes). 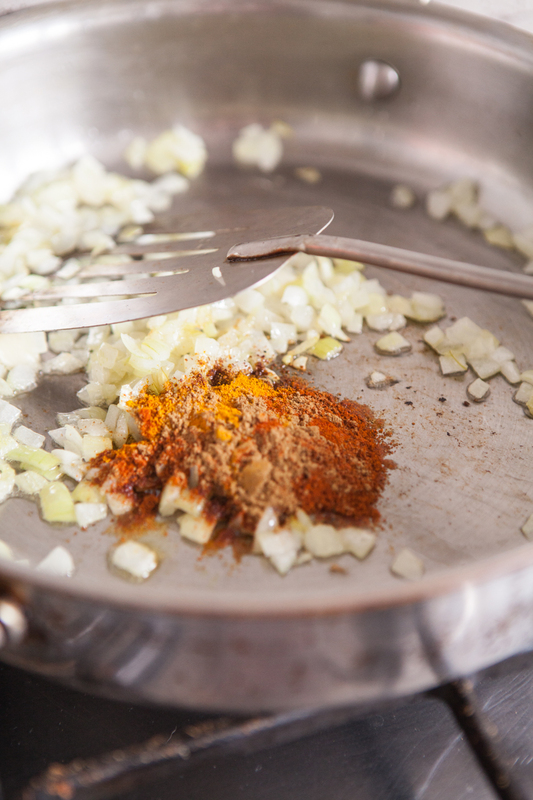 Add the chopped garlic, turmeric, sumac, cumin and paprika. 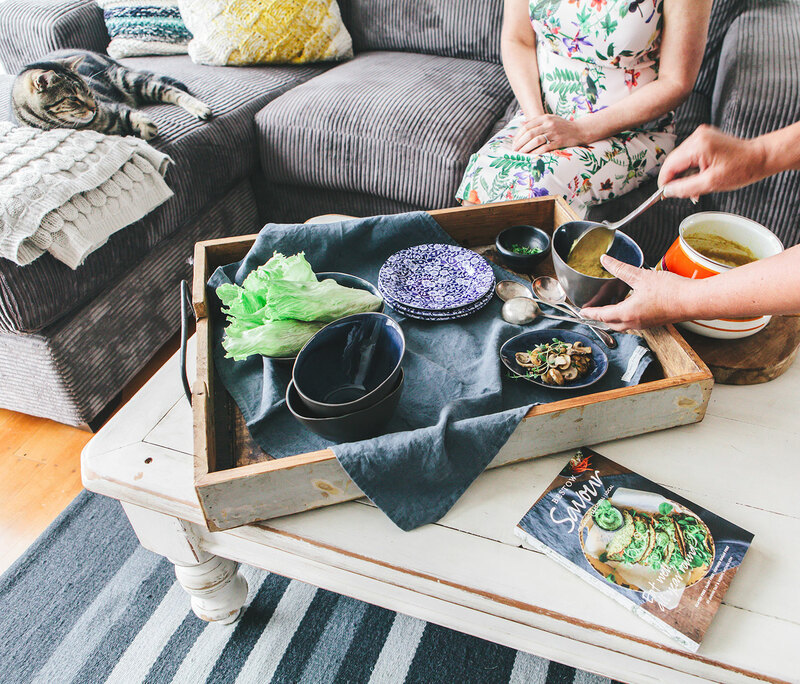 Stir together for a brief few seconds until fragrant. Now add the roasted cauliflower. 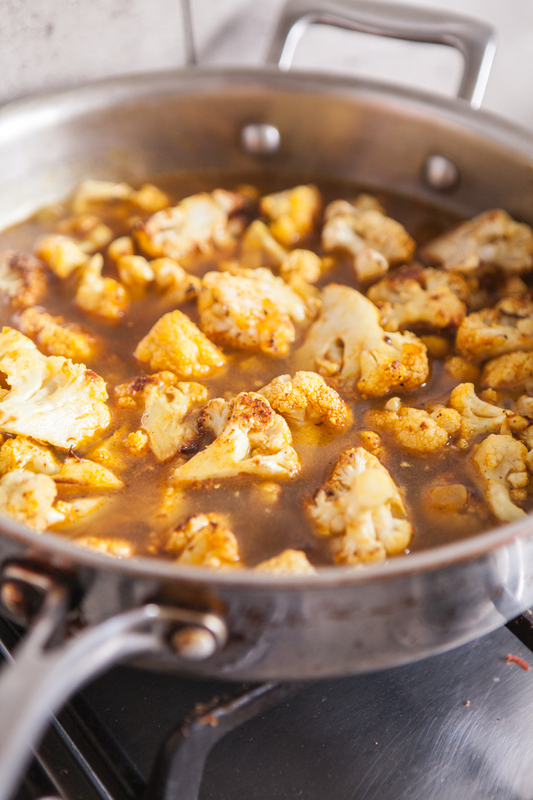 Stir to coat cauliflower well with the spices then add vegetable stock. Bring to a simmer on medium-high heat. Cover and cook for five minutes. Uncover and remove from the heat, cool for 10 minutes. Using a stick blender, blend and liquid until you achieve desired consistency. If the soup is too thick add more stock or water. Return to a medium heat and stir in the lemon juice. 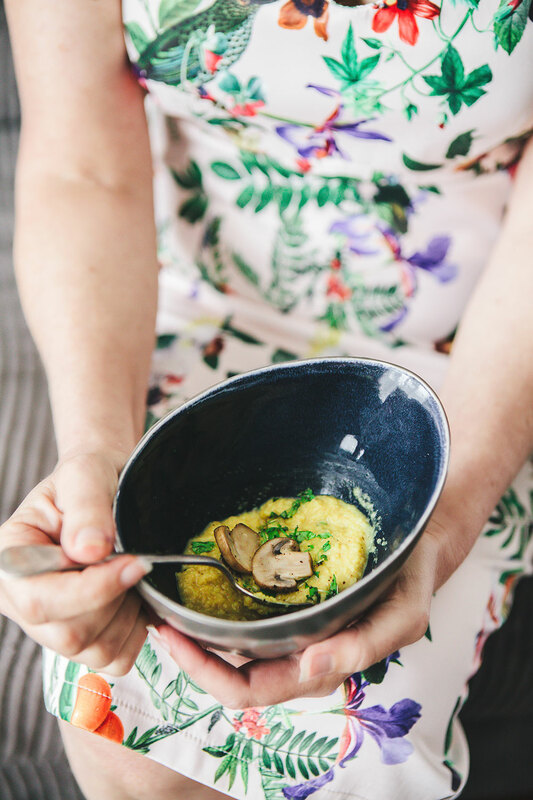 While the soup is heating through, fry the mushrooms in a small pan in 1 tablespoon of olive oil over a medium- high heat. As they start to brown add some fresh thyme and cracked black pepper. Remove from the heat when they are starting to crisp and turn golden brown. Set aside. 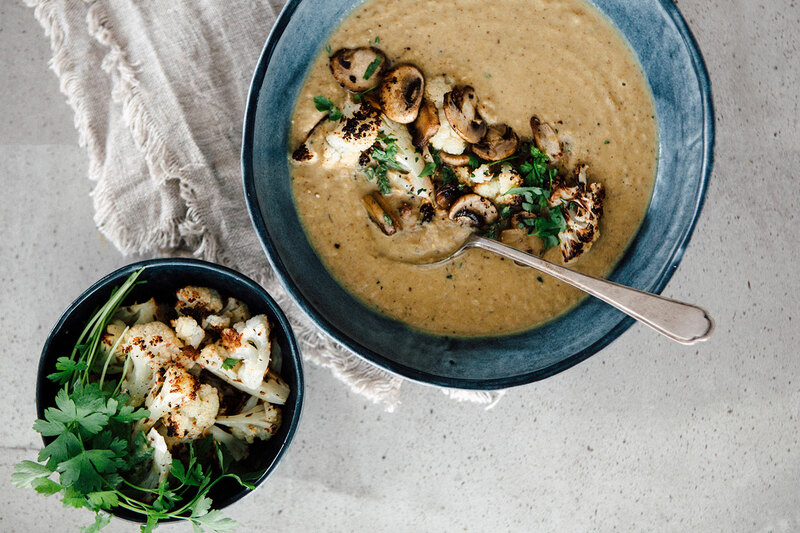 Add the soup to serving bowls, top with mushroom, reserved cauliflower florets, fresh thyme, parsley and lemon zest. Season with salt and pepper.